Suzanne Lenhart (University of Tennessee, in Knoxville) will deliver the 2010 AWM-SIAM Sonia Kovalevsky Lecture at SIAM's (Society for Industrial and Applied Mathematics) annual meeting in July in Pittsburgh, Pennsylvania. Lenhart, an Associate Director at the National Institute for Mathematical and Biological Synthesis and former president of the Association for Women in Mathematics, was selected as the Kovalevsky Lecturer in recognition of her significant research in partial differential equations, ordinary differential equations, and optimal control. The Kovalevsky Lecture honors Sonia Kovalevsky (1850–1891), the most widely known Russian mathematician of the late 19th century, who did important work in the theory of differential equations. 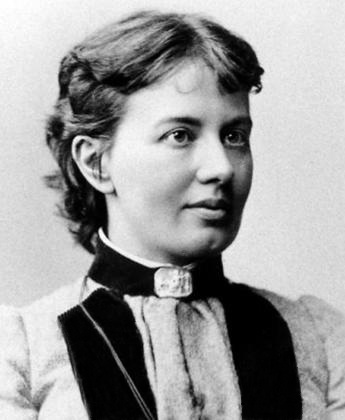 Kovalevsky received her Doctor of Philosophy degree from the University of Gottingen in 1874 and became a lecturer at the University of Stockholm in 1883. Past Kovalevsky lecturers include Andrea Bertozzi, Dianne O’Leary, Lai-Sang Young, Irene Fonseca, Ingrid Daubechies, Joyce McLaughlin, and Linda Petzold. Image of Sonia Kovalevsky via Wikipedia.